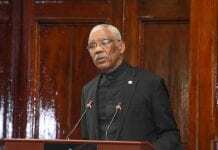 Guyana’s President, David Granger has called on the country’s private sector to avoid the dangers of insularity, while pointing out that his government intends to continue pursuing regional economic cooperation. He called on the private sector to focus on increasing investment, seeking to be more innovative in pursing new markets and making Guyana’s goods and services more competitive in the international arena. 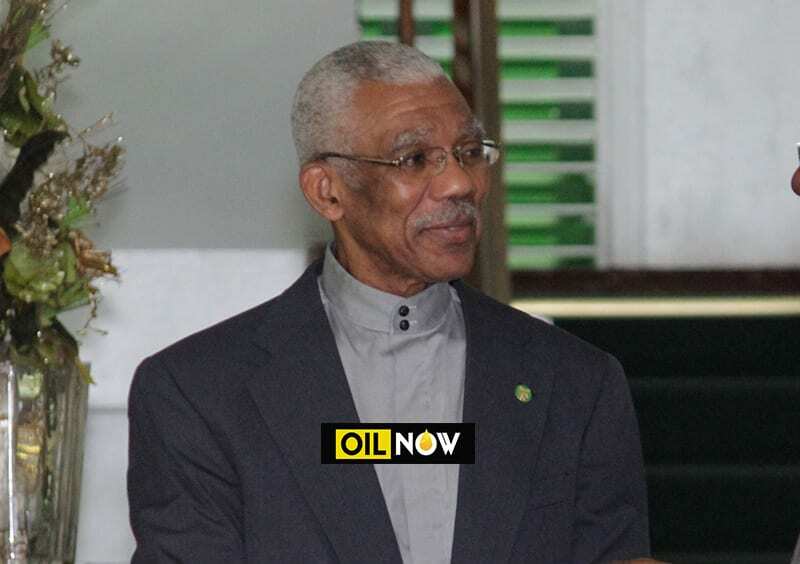 President Granger’s comments came at the opening of the Guyana Trade and Investment Exhibition (GuyTIE) on Thursday and closely followed the signing of a controversial Memorandum of Understanding (MoU) for energy cooperation between Guyana and Trinidad and Tobago (T&T). Sections of Guyana’s private sector have publicly expressed their reservations about the MoU, contending that any arrangement that allows businesses from T&T to benefit from opportunities in Guyana’s oil and gas industry must be carefully considered, particularly in the absence of a Local Content framework in the sector. The Georgetown Chamber of Commerce and Industry (GCCI) has maintained that any agreement with T&T in the absence of a Local Content policy or legislation is potentially dangerous and can have far-reaching negative effects on the business community and the country. 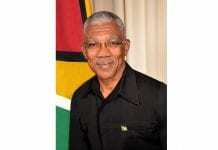 President Granger also disclosed during his address on Thursday that Guyana is preparing to conclude a framework agreement for economic cooperation with Barbados. He said Guyana is seeing a surge of a rising tide that will deliver transformative economic change with the world class discoveries of petroleum, which will unleash unprecedented business opportunities in the country. The President emphasized that revenues from the exploitation of Guyana’s oil and gas reserves will catalyze the nation’s economic growth, increase employment, propel innovation, intensify technology transfer and improve workforce productivity. 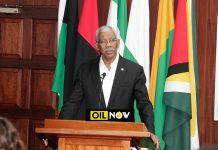 With Guyana poised to become the Caribbean’s foremost investment destination, the President exhorted the country’s private sector to build capacity and establish strategic partnerships in order to exploit new opportunities in the emerging oil and gas sector. The President pointed to the need for intensified collaboration between local, regional and international firms to grasp opportunities that can provide a platform for global market penetration. It is my respectful view that the Georgetown Chamber of Commerce has a real concern in light of the signing of the MoU between Guyana and Trinidad and Tobago. Careful attention must be paid to Trinidad and Tobago’s timely closure of its refinery and its so called restrucuring of the Petrotrin oil company. These recent activities by the Trinidad and Tobago government is with clear intent to subliminaly encourage players in that industry to take over the Guyana oil industry. It is prudent to conclude that they will look for greener pastures Yes, they have the knowledge and expertise in the industry . For this reason i am suggesting that the Georgetown chamber of commerce through its membership establish a Corporation with the purpose of employing the Trinidad and Tobago’s expertise in the oil industry , this approach will not only protect Guyana’s interest but will reduce the risk of corruption by both the Guyana and Trinidad and Tobago governents , noting that the oil and gas industry in Trinidad and Tobago over the years have been plagued with corruption hence its present demise on the other hand Guyana is exposed to corruption in light of its new found wealth .